One of the ways of increasing traffic to your website is to have well-written, enticing copy that will result in people spending more time there. Well crafted news pieces or articles, for example, can help create trust in your organisation, and may even attract enough web traffic to make advertising revenue a potential income source. Poorly-written copy, on the other hand, can reflect badly on your company and turn potential customers away. Below are some common copywriting mistakes that you should try to avoid. I couldn't agree more!!!!! The exclamation mark is for shouting something at the top of your voice. It should be used sparingly, so that when you actually do have something to shout about, it is meaningful. If not, stick with a full stop. If you have well-crafted, eloquent sentences, they should make an impression on the reader without needing an exclamation mark. Too is an expression of excess. It can mean also / very / extra. Two is one more than one. To is for everything else. Use the wrong one at your peril. (a) To indicate the possessive. - This is Sarah's house. - The dog's food smells disgusting. - Men's shirts are on the third floor. - It is everyone's responsibility to keep our streets clean. Note: Personal pronouns are already possessive, so they don't need an apostrophe (my, mine, your, yours, his, her, hers, its, our, ours, their, theirs). - The house is yours. - The dog broke its leg. - That car used to be ours. (b) To indicate missing letters. - Don't empty the dog bowl there! - I won't be able to climb up the stairs. 7. What goes inside the quotes? 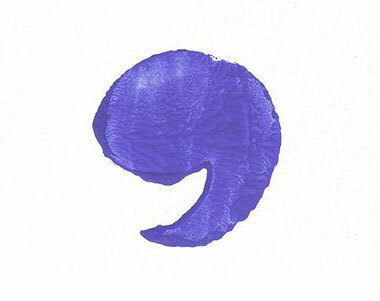 The full stop and the comma. They don't ever go on the outside. Question marks and exclamation marks are different - they go outside or inside depending on whether they refer to the whole sentence (outside) or just what is inside the quotes (inside). Use “fewer” for things you can count, but use “less” to quantify something you really can’t count. For example, “Please hang fewer clothes on the line next time.” Conversely, “I wish we had less stuff in this attic.” And yes – the sign at the supermarket checkout is wrong – it should say “8 items or fewer” because you can count the items. Good copy can impress your customers. Bad copy can turn people away and detract from your brand. If you've invested in a well-designed website, why would you populate it with copy that you've just thrown together? Professional, effective web design is a great way to build confidence in your organisation and boost your reputation. But fill it with unprofessional, inarticulate copy and you'll destroy your customers' trust and undermine your reputation.